Dehydration is excessive loss of water from the body. In the skin on the face, dehydration occurs when there is a deficiency of water in the surface layer of the skin, the stratum corneum. The signs of dehydration include skin tightness or tautness, and flaking. All skin types, even those with oily skin can suffer from dehydrated skin. Dryness in the skin occurs when there is a low level of oil (as opposed to water). Having a drier skin can also accentuate the appearance of fine lines and wrinkles. If you suffer from dry or dehydrated skin, you may experience some irritation or redness, and sometimes a stinging sensation as dehydrated skin is more vulnerable to irritants. What causes dryness & dehydration? Overexposure to the sun can cause water to evaporate from our skin, which also explains why sunburned areas tend to feel especially dehydrated. Air conditioning, heating, long showers, flying and certain medications can also increase your likelihood of developing dehydration and sensitivity. By overdoing the cleansing, you can strip away your skin’s natural oil and dissolve the protective lipid. Avoid excessive scrubbing and bathing, and stick to cleansing once at morning and once at night with a soap-free product that is compatible with your skin type. Your diet can play a huge role in the health of your skin. 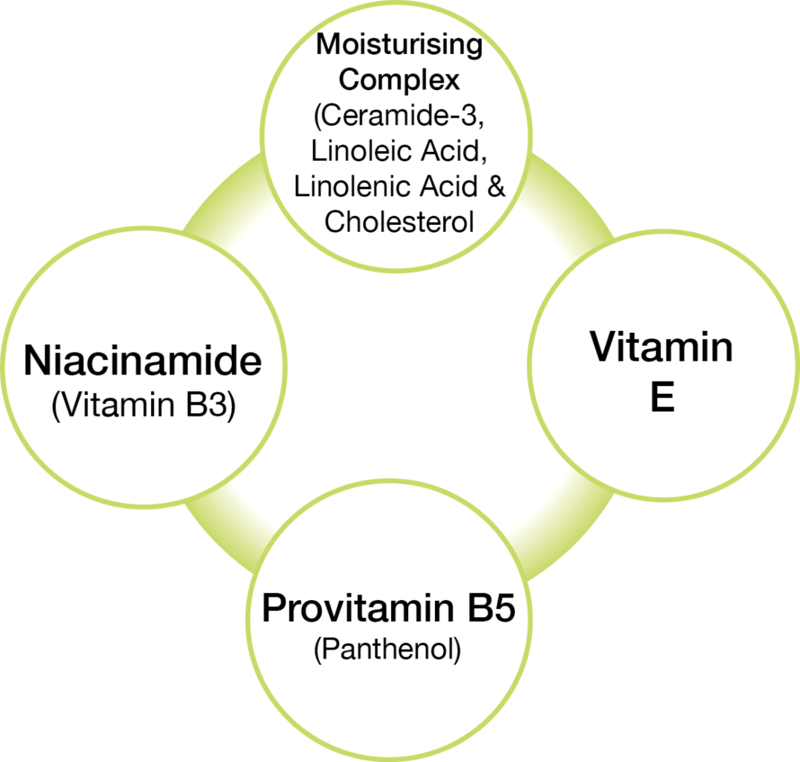 People who are on low, or no-fat eating regimes could likely be missing out on fat-soluble vitamins (A,D,E,F,K) as well as vital essential fatty acids (EFA) that can be very beneficially for your skin. Alcohol and caffeine can have diuretic effects, the effects of which mean that extra fluid intake is needed to prevent dehydration. 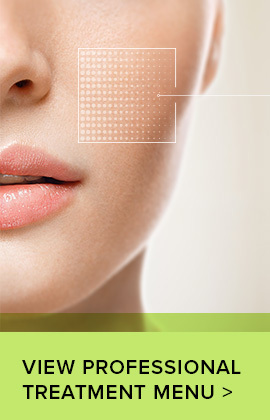 Apply topical products that support the skin's Lipid Barrier. Use moisturising ingredients such as Hyaluronic Acid and Provitamin B5 which act as humectants, helping to maintain and attract moisture in the skin. Ensure you are consuming the recommended daily intake of water to stay hydrated. Eat a balanced diet rich in essential fats to support the function of your skin. Book a skin consultation to allow a qualified skin therapist to thoroughly examine your skin and decide on an action plan to treat your sensitive skin without causing further irritation. 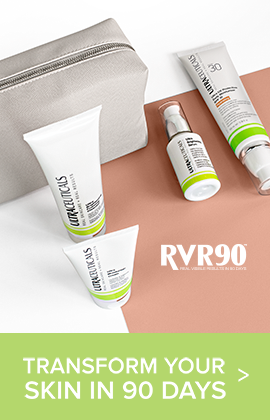 The Ultraceuticals moisturiser range features a blend of moisturising ingredients designed to help maintain the lipid barrier and support lasting hydration. Ultra Moisturiser range features a blend of ingredients to support skin hydration. These ingredients include Ceramide-3, Linoleic Acid, Linolenic Acid & Cholesterol, which help maintain the lipid barrier while Sodium PCA, Urea and Sodium Hyaluronate support the skin's Natural Moisturising Factor (NMF) to help optimise hydration levels within the skin. Ultra B² Hydrating Serum is enriched with potent levels of both D-Panthenol (Provitamin B5) and Vitamin B3 (Niacinamide). This double hit of Vitamin B works to visibly plump and reduce fine lines and wrinkles to give the skin a supple, dewy and more youthful appearance. It also contains Sodium Hyaluronate (Hyaluronic Acid) which adds and assists to retain moisture to the skin. It is reported to bind 1000 times its own weight in water. 10 healthy panellists, between the ages of 30-60 years old with dry skin were selected. They applied the product twice a day (morning and night) to clean dry skin for 4 weeks. 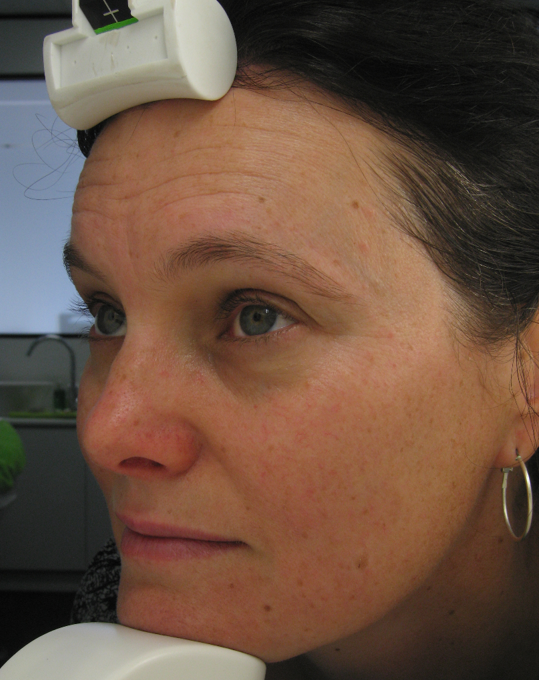 All panellists used Ultra UV Protective Daily Moisturiser SPF 30 during the day and didn’t apply any additional treatment products during the trial period. Amongst panellists who applied Ultra Rich Moisturiser Cream, 100% experienced notable refinement of texture and improvement in hydration of their skin. 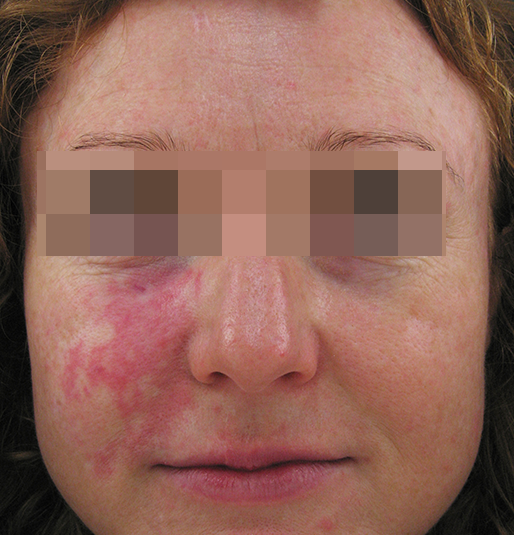 Panellists also experienced reduced redness and irritation in some cases. SL (TOP) after applying the product for one month. She experienced significant soothing effects, an improvement in overall skintone and plumping. 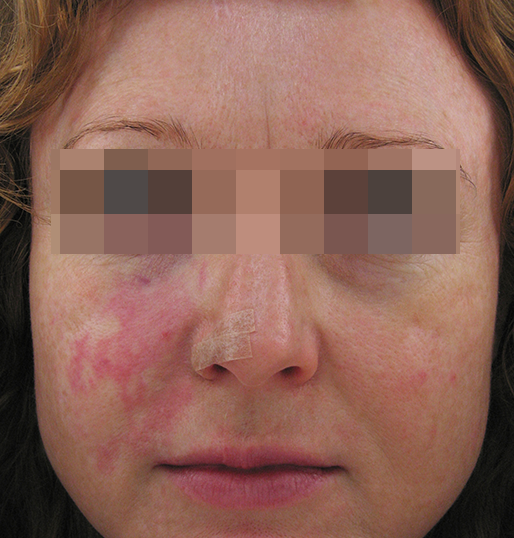 She also experienced a reduction in redness and irritation. LE (BOTTOM) after applying the product for one month. 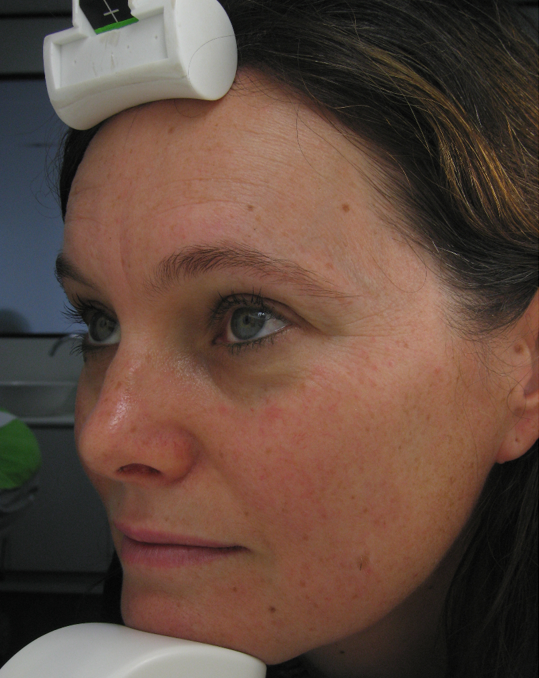 She experienced significant soothing effects and a reduction in redness and irritation. The Ultra Moisturiser Range helps maintain the skin's lipid barrier to assist hydration.